Growing up New Year's Eve was always special. My parents would let us stay up, we'd watch movies, fill out our brand new calendars with the family birthdays, and head out to bang on pots and pans in our front yard when New York celebrated (9 pm our time). With my boys we try to do that same type of thing - minus the pots and pans because now as an adult I would be so embarrassed about my kids annoying the neighbors. Of course they don't mind annoying us with setting off fireworks at the "real" midnight... yes... really... my dog LOVES it when they do that (GRRR). Anyway - Farley is hosting her monthly Currently and I want to link up. I know, I know... so many linky parties lately! Really though, until I'm back in school on Wednesday there really isn't anything school related to talk about, and I want to talk to someone. Listening - to complete quiet. It's so peaceful right now I could fall asleep. Maybe I should be sleeping... My boys are with my husband in the garage designing/building/painting their Pinewood Derby cars. They joined Cub Scouts this past fall and this is one of the big deals of the year. I'm supposed to be making dinner at the moment, but instead I'm sitting here talking to you. :) Priorities! Loving - My Life - everything about it. I'm blessed. Thinking - Yes, there is a big mess behind my computer chair all over the Family Room floor that perhaps I should be cleaning up... but I'm not, and I'm okay with it. Wanting - to finish my book. I've downloaded so many free books on my Kindle over break (Pixel of Ink, Inspired Reads, Amazon Free Kindle Books), and I just keep averaging 1 - 2 days per book. It's been a wonderful vacation of staying up late reading. Needing - to grade those assessments I brought home. I brought an entire bag of stuff that I still haven't touched yet. 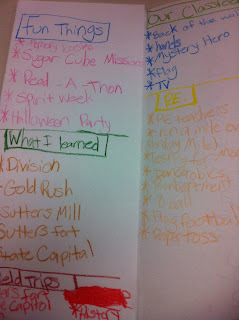 I've done a lot and created a bunch for school - so it all evens out, right?!? One Little Word - Content. I am content. I am at peace. I am happy with my life. Of course there are things I would love to modify (clothes size being one), but overall I am content with my life. I'm linking up with Lorraine to share my 1st twelve posts of 2012 and then some of my favorite NYE pins that my boys tackled last year. Since I didn't start the blog until mid May (and those first posts were moving school things over from my home blog) and I didn't turn on the follower button until late summer - well, there is a good chance you haven't read them. Just a post about my background. 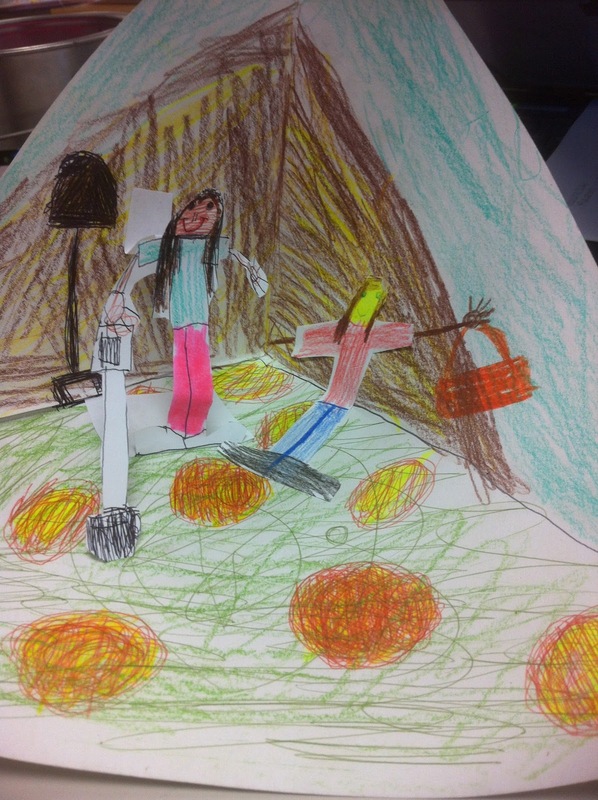 My class was putting together their memory books before Open House. My order had just arrived and I took A LOT of pictures to share. My family had visited the San Luis Obispo Mission and I uploaded some pictures and my Mission Report. 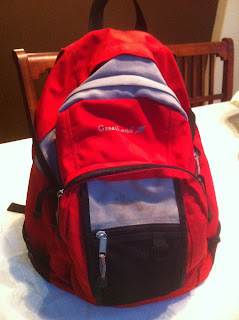 It was the night before the BIG trip to Sacramento and I was packing my field trip backpack. This post has my checklist. Just a post what we did when we were up there. 7th post - Countdown to Summer. 10 Days to Go!! 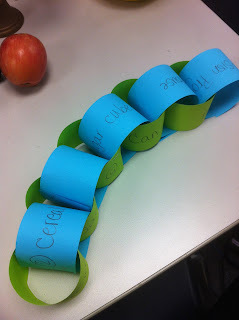 I shared my paper chain countdown that the kids write their top memories of the year. 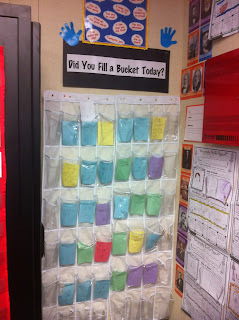 This is my bulletin board area from last year and what I do to "fill buckets" in my classroom. 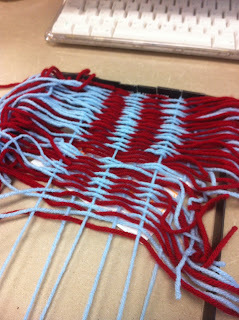 This was an activity that I was reminiscing about from when my class tackled weaving after learning about Native Californians. At the end of the year my students create brochures to pass onto the incoming 4th grade class about what to expect in my classroom and for 4th grade. We then give them to the 3rd grade teachers to share. My coworker had taught me (after 12 years of teaching) how to fold a paper to create a paper diorama. I just wanted to share her trick. 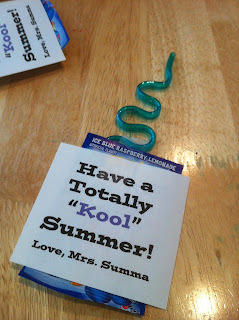 I took an idea from Classroom DIY and shared my version of the silly straw gift for my students. Thanks for coming along with journey with me! Hope you have an awesome last day of 2012... We are planning on letting the boys try to stay up until midnight tonight. Every year we let them try and then we see how long they last. They haven't made it yet - though last year one of them made it until 11:45. So close! Here are some fun pins of NYE activities to do with the kids tonight. If you click the pictures below they will take you to Pinterest. We did this last year - every hour of activities to do. We started at 6 pm. We did this with egg nog - just dip the rim of the glasses in water then sprinkles before filling. 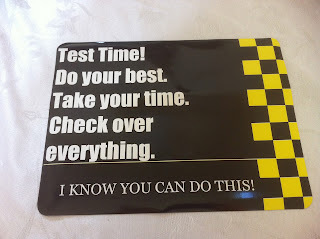 These are free printables from Family Fun. The boys enjoyed them last year. Hi Everyone! 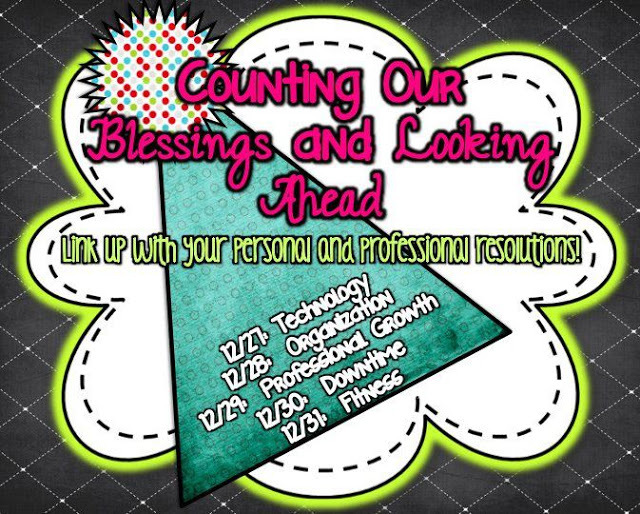 I need you to keep me accountable with my resolutions this next year. I know I wrote about some different school areas yesterday, but these ones are more my personal ones. A while ago I had my 3,2,1 goals for the week going on and I kind of got busy... so I dropped them... and then I forgot about them... basically, long story short - I need goals to stay focused on what really matters. Here are my resolutions for this next year. I'm not going to say anything Earth changing because well, if it was Earth changing I wouldn't be able to conquer them, and then I would just be depressed by the end of 2013. Goal #1 - Take care of myself. I want to deal with my stress in positive ways. I want to take time for myself, believe in myself, be less stressed out, and be happy. I have a good life and I deserve to take care of me. Yes, that means making good choices with food and exercise. Yes, that means that I need more sleep. Yes, that means that I will watch girl movies, read my books, and perhaps get a massage every once in a long while. 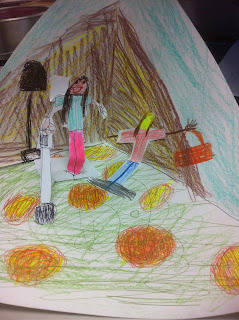 Goal #2 - Be more present with my family. I am always present physically but I need to work on being more mentally here. My boys have gotten into the whole Legos, Star Wars, Cub Scouts, Ninjas, etc... (BOY STUFF) that I don't understand. Daddy is the person they want to play with because he "gets" it, I'm the person they want when they are sleepy or hungry or hurt. I want to try to figure out my boys so I can have fun too with them. Goal #3 - Save money. I tend to like to shop. I'm pretty good when I don't need anything, but I can't pass up a deal if someone in my family or extended family wants something. I think to myself a lot, "That would be perfect for ____." Then I have to get it, and save it for that perfect occasion. I need to save money this year! This brings me to my next reason for posting today. I was contacted by this great website that wants to help college students save money on their textbooks. I bet we can all think of at least one college student in our lives that could use this information - perhaps, you are the college student! Campus Book Rentals was one of the first companies to want to save college students money by renting textbooks. There is a video on their website that explains it all very clearly. There is also an opportunity for those of us out of college - we can sign up to rent our old textbooks! Did you save yours like I did? That would definitely help me organize my garage (and would make my husband happy)! Anyhow, click on the link above to head to their website to check them out. They really are a good company to work with. Fun fact - This company has partnered with Operation Smile and is donating over 1,000 life saving cleft lip surgeries to children in need. See, super nice people! 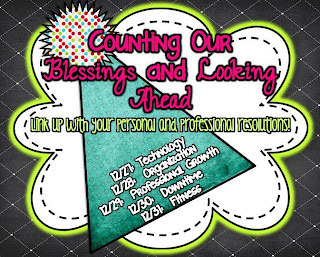 I'm linking up with a bunch of bloggers to share my resolutions for this coming year. I'm late to the party though... so I'm catching up! Click the below links to head to the different link up spots. Technology hasn't always been my friend. I still wouldn't consider myself an expert, but I do feel more comfortable about it. I'm not the person that my parents call when they need help with their TV/Computers/VCR etc. In the classroom though I do feel right at home. I know I've mentioned some of these things in past posts, so if you are interested in them and want to know more about them, just let me know! Ladibug Document Camera - My school purchased these for all the classrooms 2 years ago. Now!Board - My students raised money last year to purchase this for the classroom. It gave me an instant "smart" board. Kindle Fire - My students raised enough money last year for one of these, and I had enough Amazon gift certificates for another one. Instant extra internet access to take AR tests and work on IXL Math skills. Talk Buttons - I bought my class a set of these - they are used to record short messages (like directions/reminders). Easi-speak Recorder - I bought this for my classroom using EIA money last year. Actually I bought 2 of them. I use them to record my students during fluency testing (and can download it into my computer for comparisons throughout the year). The other one gets passed around between students during silent reading for them to read into when I'm not right there to listen to them. Mp3 players for my classroom - I have 4 of them and when using a splitter I can have 8 kids listening to a book. I downloaded our weekly stories onto the computer and they listen to them for review. So what do I want to work on? I'm at the point that I feel I have so much technology going on, maybe it's a case of too much too soon... but this year I really need to figure out a plan on using the equipment more effectively. There are some things that I remember on a daily basis, but others that I forget about... I want to use what I have better. *Organize the files on my computer. Since starting the TPT store and buying a bunch of stuff recently at TPT, I have so many files in random places on the desktop. *Enable my own children with responsibility of cleaning up. I need to accept they are growing up and are able to clean by themselves (rather than me doing it MY way only). Did you race to the top of the salary schedule too? I did. After student teaching 14 years ago, I took so many classes right away to climb the unit ladder. I've been at the top for a while now, and I felt settled... then with beginning to read blogs and then starting this one, I found that maybe I was too settled. 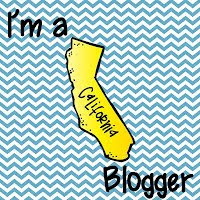 I've learned so much this past year from the different websites, blogs, and by just looking around on Pinterest. I know all of that has made me a better teacher. This next year we will finally be starting up Common Core and that alone has me on edge. I have heard horror stories about test scores plummeting the first year with the transition, and as a planner I have wanted to be informed. 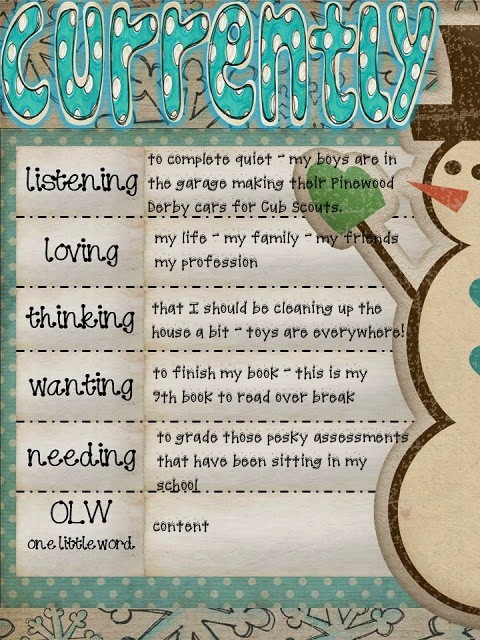 It's been hard to wait until the "professional development" catches up in my district. I guess my resolution would be to embrace Common Core and learn as much as possible to assist my present and future students. 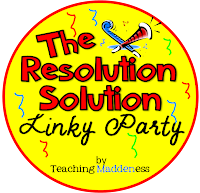 There are more linky parties going on about resolutions, but I'm going to wait until another day to link up... this post is already getting long! Hope you have a good day! Yesterday was fun! I enjoyed talking to so many of you through the comments, email, and on Facebook. 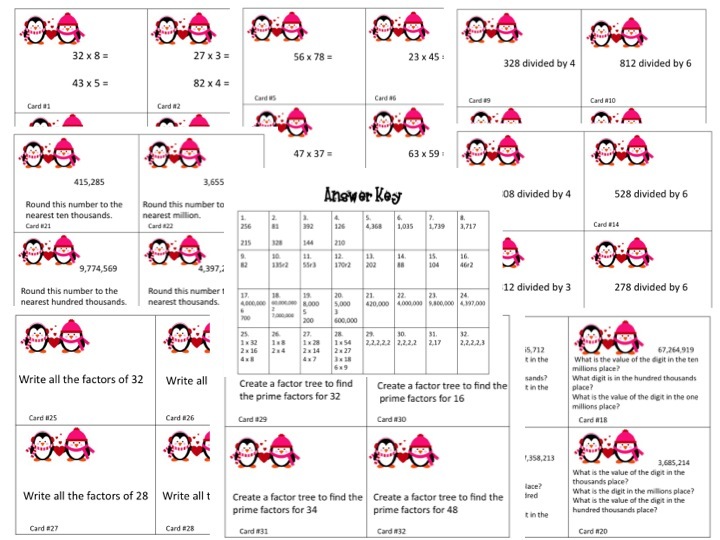 If you grabbed a freebie, I hope it will help you in your classroom. Welcome to the new followers of this little blog! Before I dive into everything I wanted to show you around on here... Over on the right side there is a lot of stuff to help keep me hopefully organized and to hopefully give you resources you need - Labels/Lists from the different past posts, Buttons to my Pinterest, Facebook and TPT store, Different pages that I have posted pictures, and Buttons/Blog Links to the places I like to head for resources. Last night I couldn't sleep because I started thinking of my plan book. You know - the one that I've been avoiding for the past 13 days. 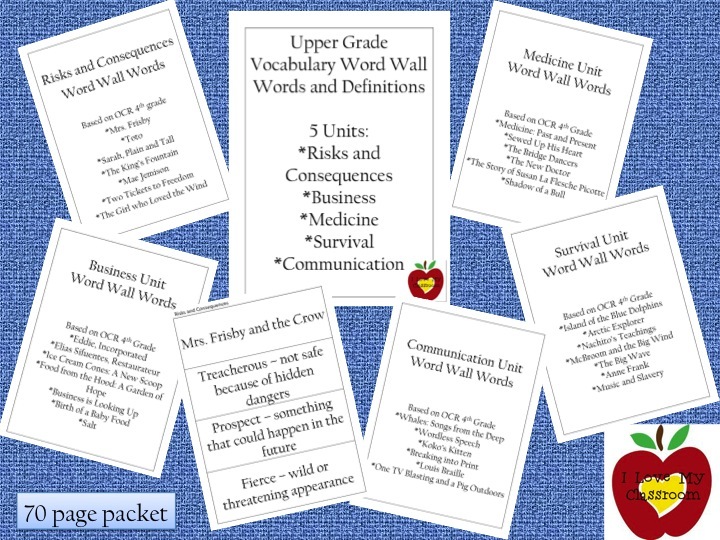 I was thinking about how we just started the Medicine unit right before we left for vacation and how I really want to create a Word Wall in my classroom to house all the words - not just the 5 or 6 from the week. I didn't have a clue where I could put it because I'm really out of space on my walls, but it's important to me to find room. Now at the beginning of the year I had every intention of using this cursive alphabet for my word wall - but it didn't work! I mean, it started to work, but then the spaces were all off and the words were tiny. Ultimately, it didn't work the way I thought it could. 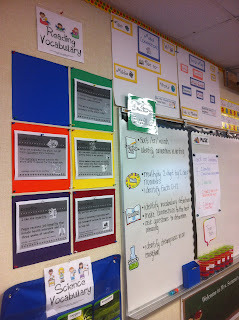 Now that entire board has been redone to include both my FACE of a Reader and VOICES strategies. 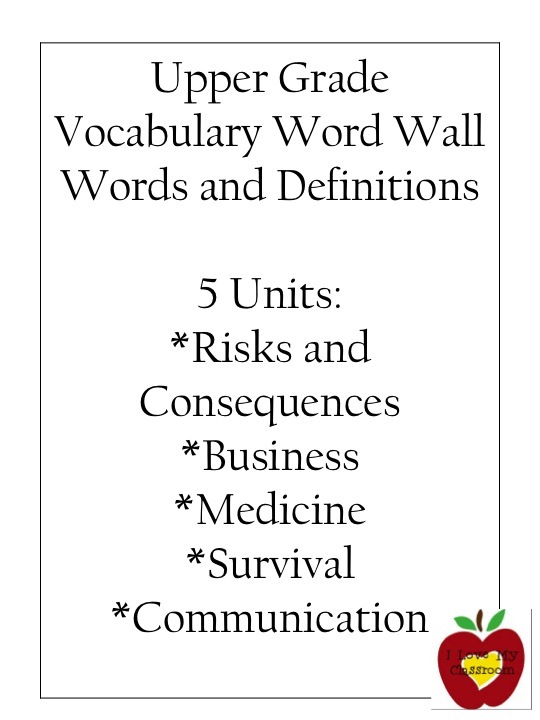 I'm thinking that I will either take the squares that I normally put the 6 vocabulary words (and all the other vocab), and instead hang fabric in that area to create another bulletin board - or I will post them on my cabinet doors (since I moved the stuff off of those to put on the actual Reading and Math boards). I won't be back in the classroom until the morning before the kiddos walk in the door, I'm almost guaranteed that it will be pulling teeth to get my own boys up and ready for school that day, so I'm expecting this project will have to be tackled after school or during prep. 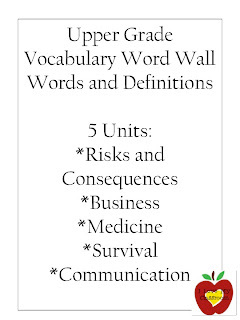 Like I said - I couldn't sleep - so I created Word Wall Vocabulary and Definitions for my new board in the different units that we study for Reading. They are based on the stories that we go through. Maybe you study the same units? 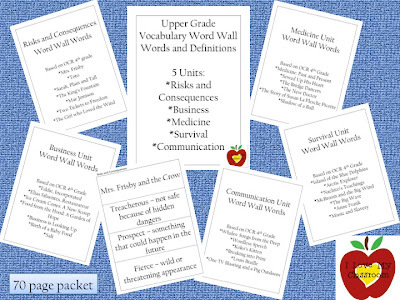 I posted them as a 5 unit bundle as well as individually over at TPT. At present, I am dealing with 3 boys having 3 different tent/forts set up all over the downstairs of my house. Tonight is the last of the Christmas celebrations - I think this is #6??? I did open up my plan book and had more planned for next week than I remembered. Isn't that always a good sign?! Hope you have a great day! 300 Follower Sweet Treat! One Day Only!! Day #13 out of my 18 days of vacation has arrived. I'm not sad though, it has been a wonderful vacation (besides this head cold). I see that this little blog is getting close to the grand 300 follower mark and I was thinking we could do something fun to celebrate. *You need to be a follower of the blog - I will check. *In the comment box please make sure you tell me what you want me to email you. If you don't have your email set up to your follower account, please make sure you leave your email address. 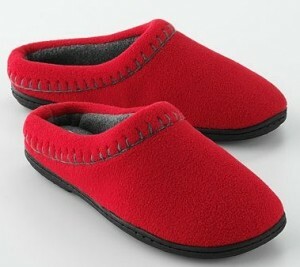 *I'm only going by comments on this post, so please don't send your wish list item by email. *If you blog, or share this on Facebook/Twitter - please leave the web link and you can pick out something extra. Let's have more people join the party! *I'm sorry I don't have a ton of stuff yet for primary grades... I'm working on it, but the store is still a baby. Here's the link to my TPT store. *Last thing - When you are over at TPT looking at my stuff, please click the follow button over there so you can stay tuned to what I'm adding. 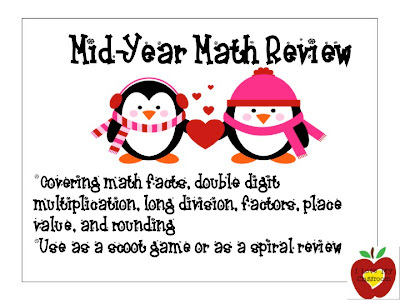 Penguin Math Review, Possible Freebie, and Giveaway Alert! Good afternoon everyone! I hope you are having a wonderful day after Christmas. This morning I woke up with nothing really planned and it felt great! I actually finished my book, had leftover Eggs Benedict, cleaned up the kitchen, and started taking down all the "extra" decorations that have been bugging me. I still love my tree, lights, garlands, and mantle - but the stuffed Santas, mini trees, and advent calendars needed to be put away. I can't really focus well when there is so much clutter! 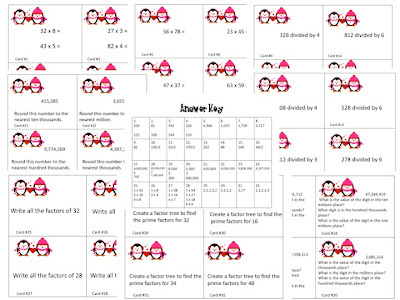 This morning I also turned my Snowman Math Review into a Penguin version. It's over at TPT if you are interested. I shared the love over on Facebook, but I'd love to share the love on here too. I will send it to the first 2 people to comment with their email. 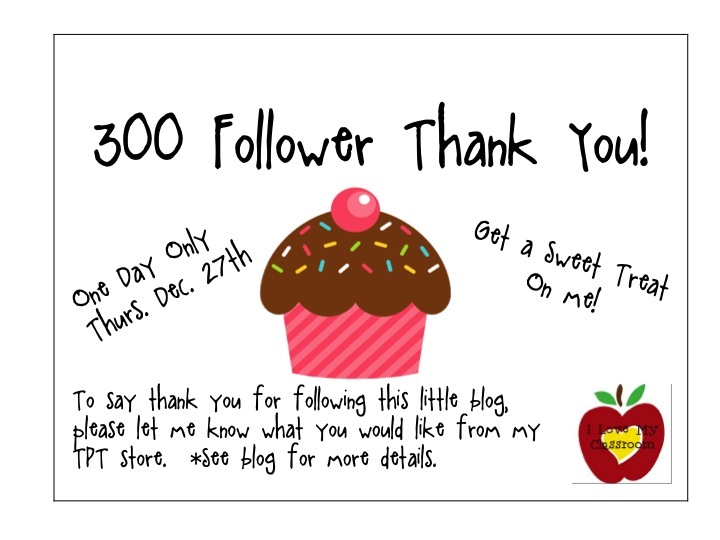 Just an alert that Jamie over at Bright Concepts 4 Teachers is having her 200+ Follower giveaway. Make sure you enter soon. 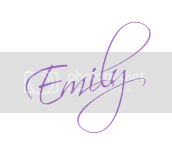 Just click the image to head on over to her blog. I know Christmas isn't about the presents, BUT my family sure made me smile this year. My parents got me a laminator to keep at school - yes, I'm spoiled and now have 2 laminators. :) My oldest son gave me the boxed set of Sound of Music. I haven't seen it in years, but I guess me singing the songs lately made him think I needed it. 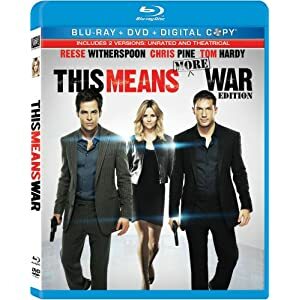 My husband gave me my own copy of this movie. I enjoy watching it when I'm super stressed - it makes me laugh. He also wrapped up the box that my new phone came in. I got it early a month ago. My middle son gave me this. 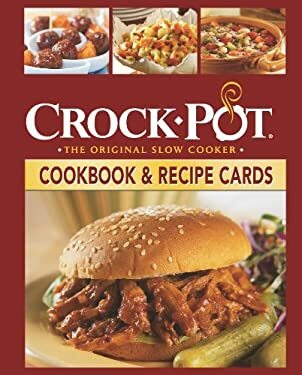 He knows I love using my crockpot every chance I get. I can also see that he wants me to change up the recipes more. I was also blessed with some gift cards - one to Massage Envy (like I had hoped), and I get to go clothes shopping soon too. My husband and I also got some date cards from my parents and my sister - so we get to go out to eat (babysitting is included). I also wanted to share the cupcakes I made for today. We celebrated Jesus' birthday and had Santa cupcakes (made from Angel Food cake). They aren't my original idea - I copied from the Pillsbury website. My version ended up looking like Santa had the chicken pox or measles. Oh well - they tasted delicious. Mission Reports/Project Have Been Handed Out! Decorating for Christmas: Rock Cycle Party Time!